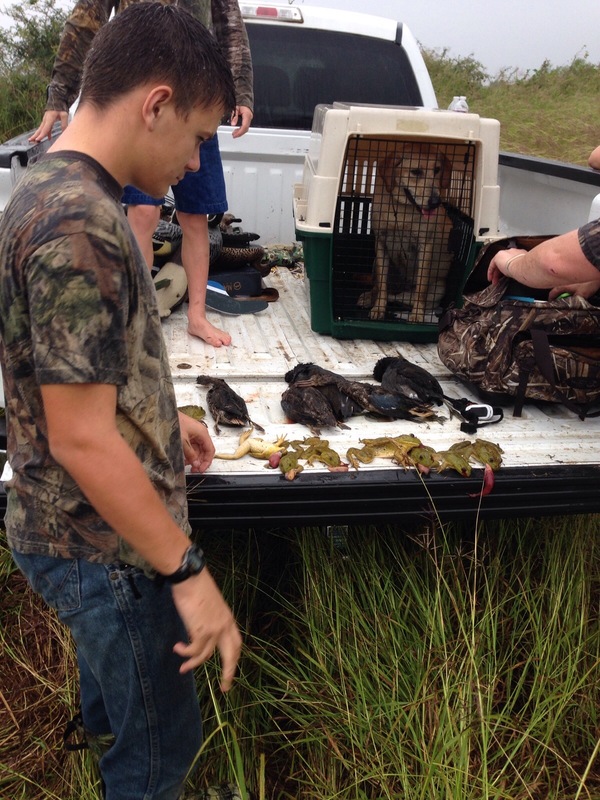 This is what happened: Oliver and Braden knocked down a couple birds in the rice canal. I sent Fiona, my lab, to get the birds. She brought the first one, but dropped it somewhere before getting to me. I sent her back to get the one she dropped, but instead she grabbed dead bird number 2. I then step down into the canal, thinking she dropped the first in the grass at the edge. With my back to the canal, and up to my waist in water, my son exclaims “Alligator!” I startle and scold him as a look over my shoulder “Oliver, don’t joke about….” I then set a personal record for high jumping with waders, and scrambled out of the canal. I did not see it’s head, only its tail , which looked about 6-8 inches wide. This is what I think happened: splashing from half dead birds and the dog brought a large, hungry alligator to chomp down on something juicy. By the time the beast gets there, I’m in the water. The monster, (looking back I figure its at least 14-16 feet long, twice as big as the initial estimate by my friend Brent), started to eat me, but realized I wasn’t bird or dog and left without attacking. Anyways, other than my second near death experience with alligators, we had a great time taking a couple young hunters on their first gun carrying duck hunts. Despite hurricane Patricia bearing down on us, we managed to get the boys their first ducks (bluewing teal) and their first poule d’eau. 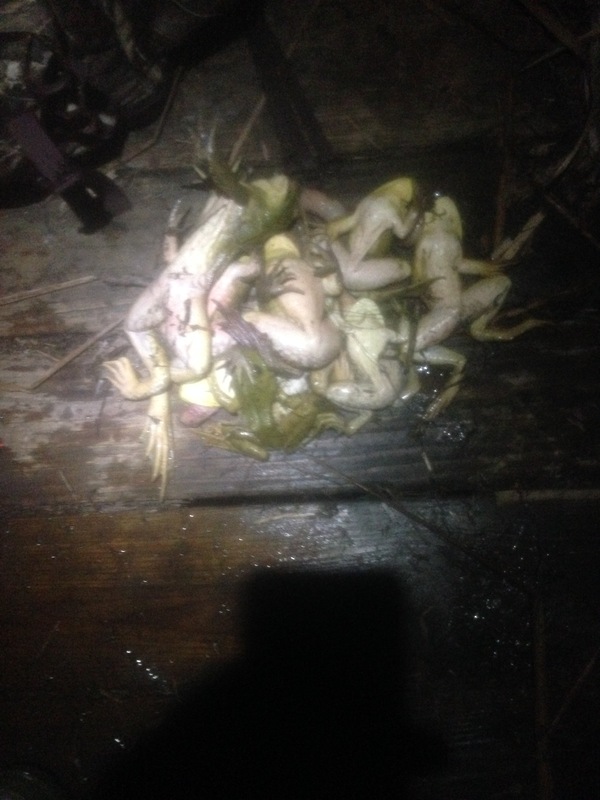 As a bonus, while setting out the decoys, I managed to channel my inner Swamp People and grabbed 15 bullfrogs. 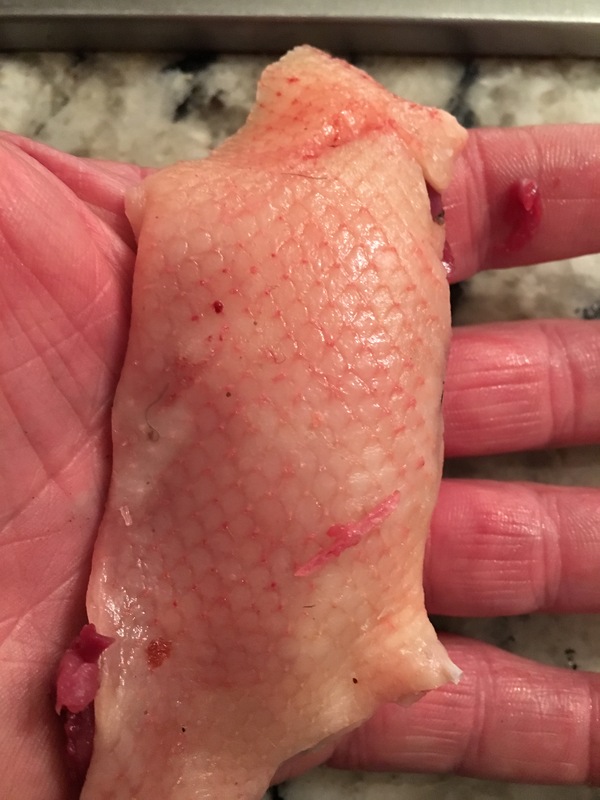 All in all, exciting start to the waterfowl season. Thundered and rained the whole time, but lightning only in the far distance. The teal were super fat, but this was the fattest. 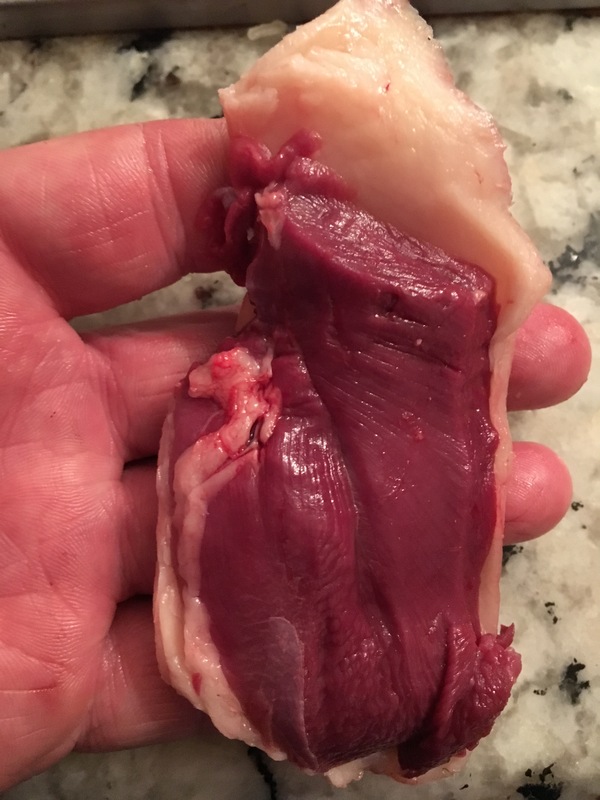 Nice amount of fat rendered from just three teal. Looking forward to cold weather and the arrival of the big birds, but this was a great start. 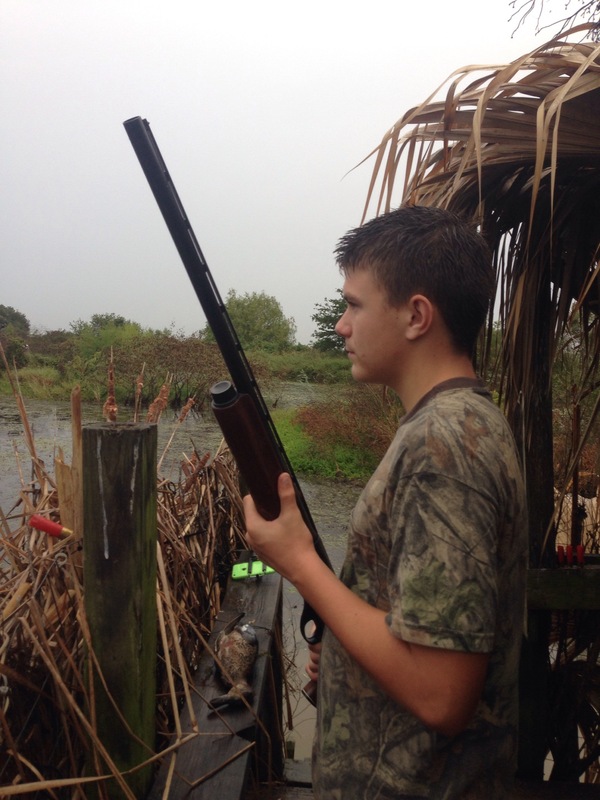 Any of you hunt the youth weekend? Great to see you teaching your kids to love the outdoors. I did the same with my son and daughter. 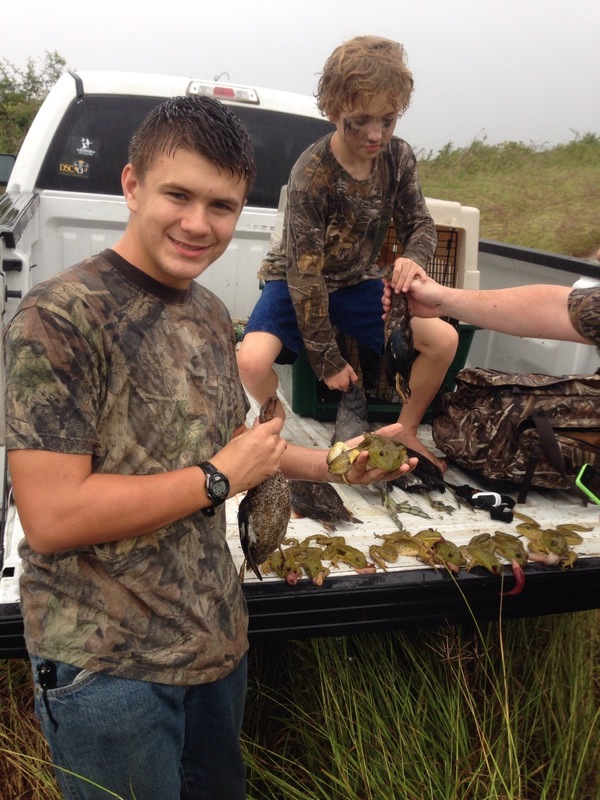 My son loves to hunt and frog…he’s 25 now 🙂 I’m going to have to write a report on one of his frogging expeditions. By the way, what do you do with the duck fat? 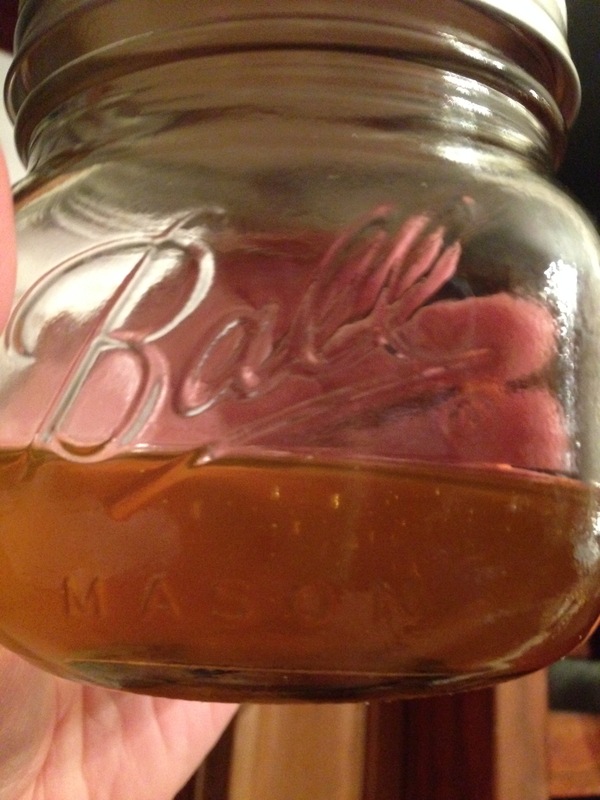 I render it, leaving me some of the best tasting fat to cook in ever. But you only can do it on grain eating ducks, the fishy ducks don’t produce the good fat. Enter your email and my room full of elves will ensure you get word about my latest exploits.